Nerds are cool these days and we nerds love to wear awesome costumes for Halloween or to Cons or just around the neighborhood. 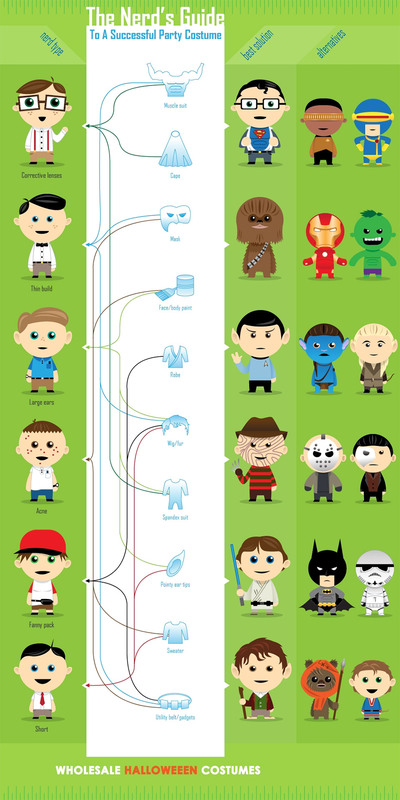 WholesaleHalloweenCostumes put together this graphical flowchart showing what sorts of costumes you should consider, depending on what type of nerd you are. Whether you wear glasses, have pointy ears, are short, or want to carry a fanny pack, the graphic gives you some great ideas for costumes to suit you. If you already have pointy ears, why not go with Mr. Spock or an elf?